Peter Frates, the former Boston College baseball star who was diagnosed with the degenerative disease ALS in 2012, reveres Lou Gehrig. But with his “ice bucket challenge” — the fund-raising stunt that has gone viral on social media sites in the last two weeks — Frates is helping to replace memories of Gehrig’s classic doomed-hero speech with a more hopeful message about ALS: Raise money and awareness and, with a little ingenuity, perhaps society can conquer this most hopeless of diseases. ALS, also known as Lou Gehrig’s Disease, attacks the brain and spinal cord. There is no known cure, and patients usually die within five years. The sad reality is that the prognosis isn’t much different than in Gehrig’s time. Because of the Yankees great’s 1939 speech (“I consider myself the luckiest man on the face of the earth”), the disease is viewed a summons to bravery and sacrifice as a patient gradually loses mobility. The “ice bucket challenge” strikes a different note: People film themselves dumping a bucket of ice water on their heads, and nominate others to do the same. If they comply within 24 hours, they’re encouraged to make a modest donation to an ALS charity. If they don’t comply, they’re encouraged to make a bigger donation. Politicians like Mayor Marty Walsh and New Jersey governor Chris Christie have joined in. Ethel Kennedy, the 86-year-old widow of Robert Kennedy, nominated President Obama, who will be making a donation. 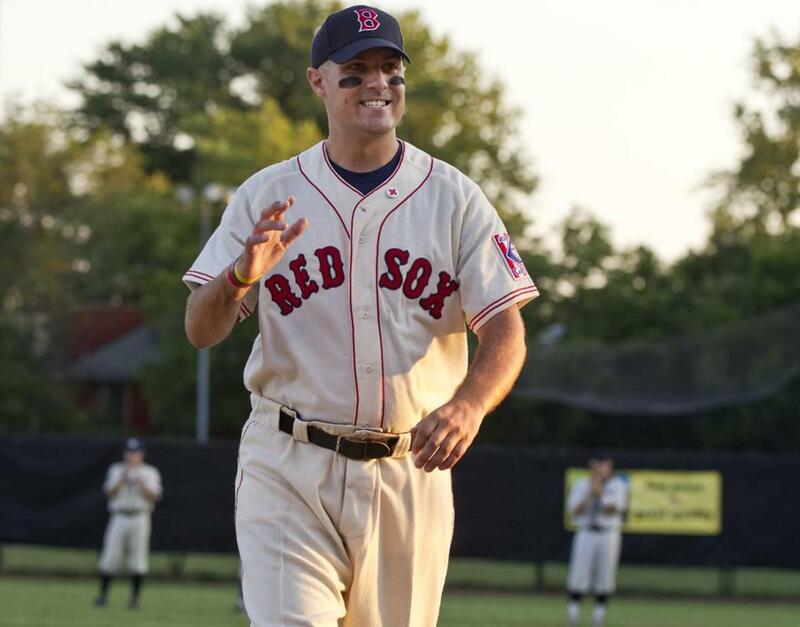 So far, Frates has raised a staggering $5 million for the ALS Association since July 29. That, in itself, conveys a sense of hope. Perhaps, with money and effort, future ALS patients will have more than Gehrig’s words to inspire them.